How misfits find a home in the world of theater! includes the book and vocal score for 14 songs from the show, listed below. STARZ is written especially with theater lovers in mind and explores theater from the ARTISTS’ point of view. The actors give voice to a variety of performer characters in this hilarious and often moving “drama-dy” that seeks to edu-tain audiences about how and why artists come to the theater–and often stay for a lifetime. And we agree it’s clear. SCROLL DOWN for audio of songs recorded during a performance. STARZ can be cast with any age performer, but age 11 to adult is recommended. This is an ensemble show, with no specific “stars” and addresses the issue of “type casting” in a realistic but also humorous way. Therefore, a mix of body types, ages and genders offers the most fun and flexibility. It can be mounted on a bare stage or with any kind of set, and available costumes or street clothes typical of audition or rehearsal process. 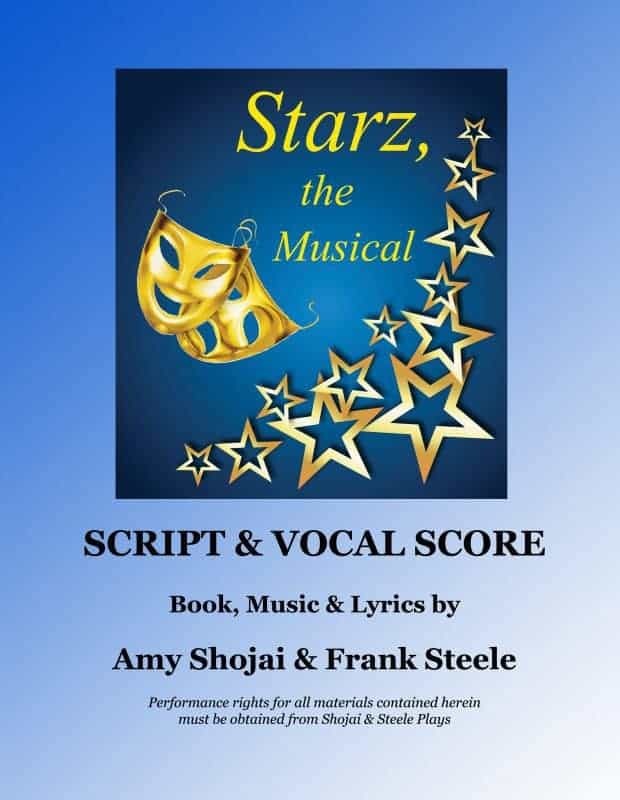 Original Cast performed STARZ on April 19, 20, 21, 2018 at The Rialto Theater in Denison, Texas. Characters are self-described MISFITS, who find a supportive and accepting family in the theatre. 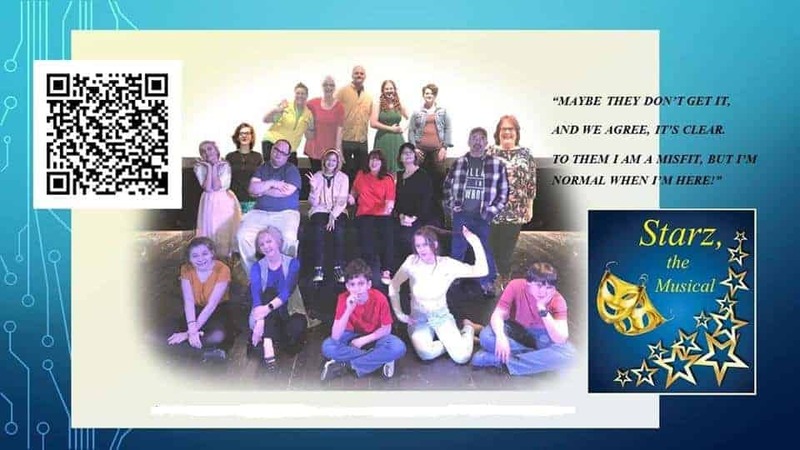 They include WALLY and his sports-booster DAD; the reluctant SHIRLEY and her gung-ho pushy stage MOM; the class clown SHECKY and nerdy CHANCE; BUBBA dragged to auditions by his girlfriend; the know-it-all LANCE, and deeply shy POINDEXTER, and outgoing cheerleader BERTHA; and all the TECHIES who help create theater magic, including PIANIST, STAGE MANAGER, VOCAL COACH, CHOREOGRAPHER and DIRECTORS. A piano/vocal score is also available, as well as a rehearsal/performance audio CD of the full orchestration. For licensing information contact shojai-steele-plays @ shojai.com (no spaces) with STARZ in the subject line.